On Memorial Day, Monday, May 30th, there will be three unique events taking place on Main Street. We sorted them out so maybe you can fit them in your Monday plans. Watch the parade at Penny Lane Cafe. 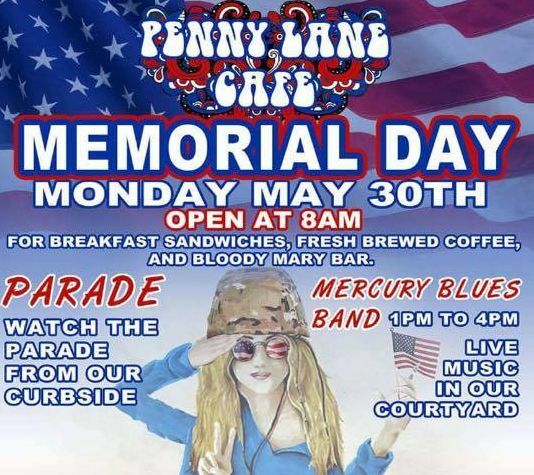 At 8:00 a.m. on Monday, Penny Lane Cafe,10255 Main Street, will be serving breakfast sandwiches, and have a “make your own Bloody Mary bar.” After the parade, Mercury Blues Band will be performing in the courtyard, from 1:00 p.m. to 4:00 p.m. The cafe will have hot dogs, burgers, salads, Anne’s Bitchin’ Beans, watermelon wedges, and freeze pops. The cafe will not be serving their usual menu items. UPDATE: The Penny Memorial Day Party was originally planned only if the weather permitted. As of Sunday May 29, they have confirmed that the forecast is good and the party is a go! The Clarence American Legion Memorial Day Parade (11:00 a.m.) and Memorial Day Ceremony (12:00 p.m.). The parade begins at 11:00 a.m. on Monday. 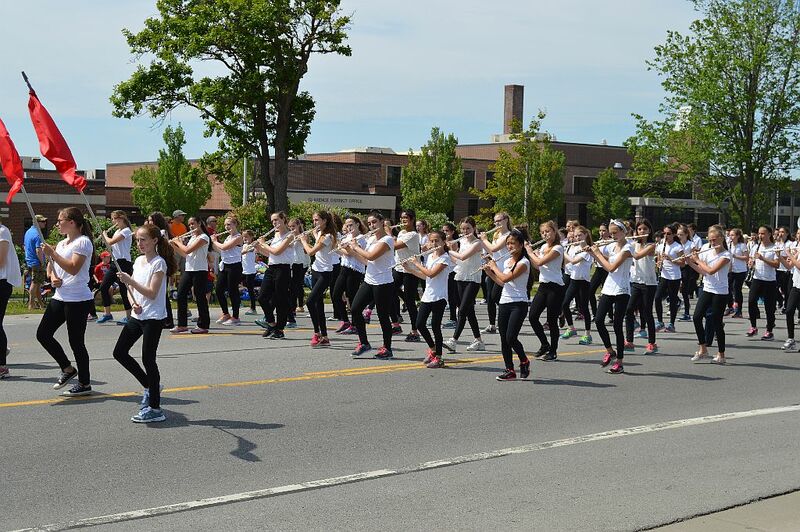 It departs from the Clarence High School, 9625 Main Street and will go east on Main Street to Clarence Town Park, 10405 Main Street. At the conclusion of the parade in the Town Park, the American Legion will lead a Memorial Day Ceremony to honor those who gave their lives for our country. 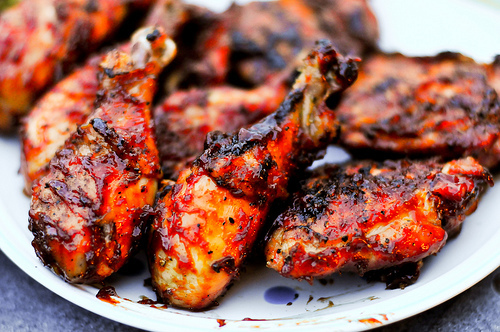 Clarence Hollow Association Chiavettas Chicken BBQ. The BBQ will begin at noon and will got until sold out at the Clarence Town Park Large Pavilion. You be able to purchase chicken dinners (with drink) for $10, hot dog, chips and drink $5. Eat there or take it “to go!” There will be a basket raffle and children’s activities. The Clarence Hollow Association promotes, improves and maintain Clarence Hollow for all to enjoy.